DENVER — The Food & Drug Administration warns that popular supplements used as an alternative to opioids could contain large amounts of heavy metals. Kratom (pronounced CRATE-um), is a supplement made from leaves of trees native to southeast Asia that have been traditionally been used as way to relieve pain, increase energy and ease opioid withdrawal. The leaves are traditionally brewed as a tea or chewed raw. But in recent years — especially in light of the opioid epidemic — kratom has become a popular alternative to treat pain. In the United States, kratom is often sold in pill form at smoke shops, holistic medicine shops and even gas stations. However, according to a health department fact sheet, kratom products are not regulated or required to be tested — meaning the risk of contamination by toxic substances or other drugs is high. 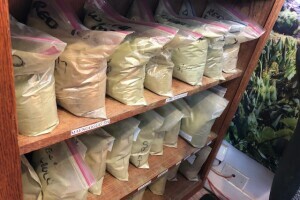 Last week, the FDA released its findings from its tests of 30 kratom products, and found all contained high levels of nickel and lead. The department also warned that heavy long-term kratom users could be at risk of heavy metal poisoning. </p><p>Five of the 30 products tested came from a single vendor, Kraken Kratom, according to the Pain News Network. In addition to the dangers linked with heavy metal poisoning, kratom can also be deadly when used in combination with opioids or illicit drugs. City and state governments have already taken action to limit the sale of kratom. Denver placed restrictions on the sale of kratom in 2017, and the sale of kratom banned and listed as a schedule 1 drug in Alabama, Arkansas, Indiana, Rhode Island, Vermont and Wisconsin, according to speciosa.org. The FDA has also not approved it for use as a drug, food ingredient or dietary supplement. 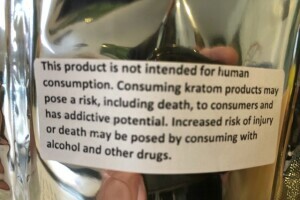 In fact, at Kratom by Mile High Bontanicals in Denver, every product is labeled with the warning "not for human consumption." However some aruge that the benefits of kratom outweigh the risks. Rick Clifford, the owner of Kratom by Mile High Botanicals, says the product saved his life. Clifford said he was born with a defective heart valve and had surgery as an adult. He said he was prescribed powerful painkillers and became addicted. "After 12 years, I wanted to get off, but didn't want to suffer," he said. He decided to give kratom a try. "I went through 30 days of taking kratom, instead of opioids, and after 30 days I said, 'OK, I want to see what happens if I stop,'" he said. "That was it. I was done." Clifford said he had no more pain, and no more addiction. "It was so life-changing for me that I really wanted to get the message out," he said. "That's why I started the business." Clifford said he believes that the FDA "cries wolf" too often when it comes to warning about the effects of kratom. "For instance, two years ago the FDA claimed 44 deaths (caused by kratom)," he said. 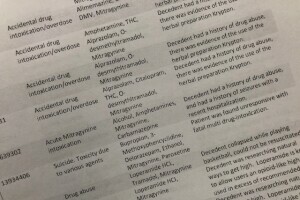 "The American Kratom Association was able to obtain the toxicology reports ... they discovered that the people who died had other drugs in their systems, that no one had died from kratom alone." Clifford said he believes the FDA is conflicted by pharmaceutical industry, and pharmaceutical lobbyists don't want the kratom to prosper at the industry's expense. 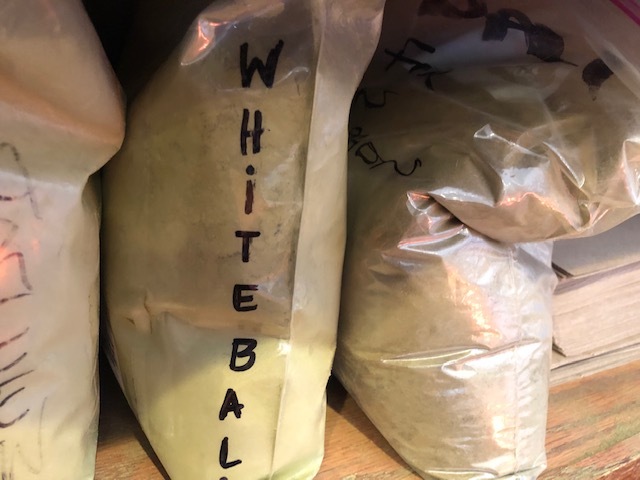 But also said that the kratom industry has been asking the FDA to implement manufacturing guidelines for years in the hopes of keeping customers safe and healthy. "We don't want anyone to get sick from Salmonella or E-coli," he said.